Honeywell has announced the latest release of its change management software, offering users across the process industries significant performance and time savings benefits. Honeywell Trace R130 delivers daily snapshots of control system configuration, changes and engineering anomalies that help amplify users’ situational awareness, enabling optimization of system management. As a result of the latest intellectual property and patented data collection techniques, the new release reduces total data collection time from days or even weeks to four to six hours for most systems. Trace captures the data with zero performance impact to the control system. 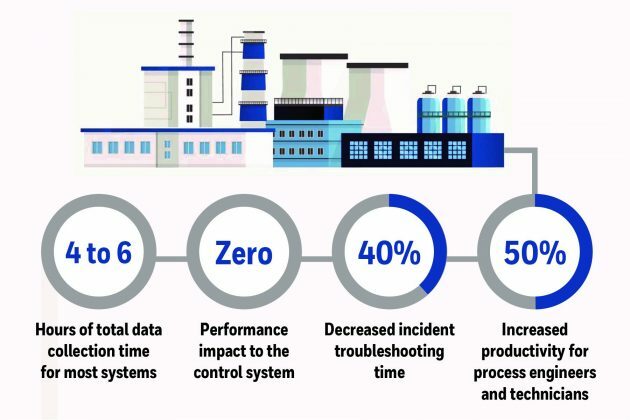 The software also decreases incident troubleshooting time by up to 40 per cent, offering a holistic view into system performance that helps to improve quality and reduce downtime. Process engineers or technicians using Trace R130 can be up to 50 per cent more productive thanks to the consistent availability of accurate system information, enabling them to better plan daily maintenance, troubleshooting, quality and performance improvement activities.